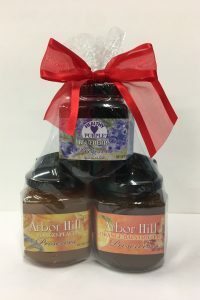 This preserve was created when peaches and mangos were accidentally married. 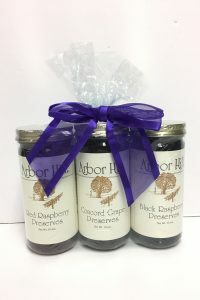 Its unique flavor will soon make it a favorite of yours. 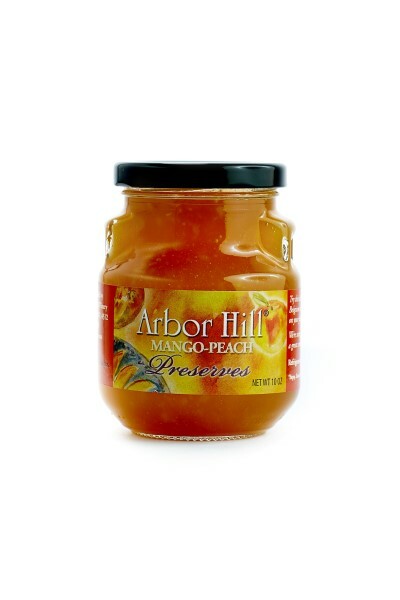 When we first taste-tested this wonderful combination, all we could say was, “More!” A flavorful balance of luscious mangoes and sweet peaches, it’s perfect for topping breakfast breads, filling cookies, or glazing meats. The dynamite combination of peaches and mango that makes a glorious topping for toast, biscuits, or scones. 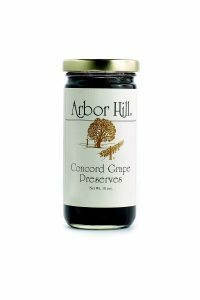 Try thinning the preserves with broth or white wine for a wonderful glaze for chicken or fish. It flies off the shelf here and you’ll soon know why! 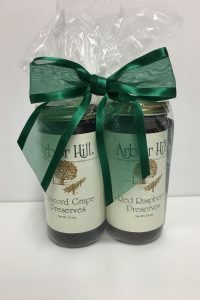 Try this hint: Spread your favorite Arbor Hill preserve between cake layers for an added burst of flavor.